Germany’s state-run development bank (KfW) could provide EUR 60 million to Ukraine for the completion of construction of a breakwater and dredging works at the Odesa seaport and EUR 90 million for overhaul of H08 Zaporizhia-Mariupol highway and restoration of H32 Pokrovsk-Bakhmut-Mykhailivka road. “Negotiations with KfW on a loan: EUR 60 million to complete the construction of a breakwater in the port of Odesa and EUR 90 million to overhaul H08 Zaporizhia-Mariupol roads,” Deputy Infrastructure Minister of Ukraine for European integration Viktor Dovhan wrote on his Facebook page. 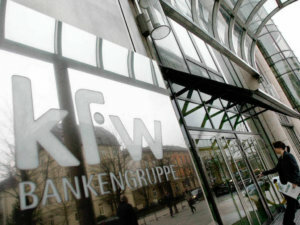 At the same time, according to a posting on the website of the Infrastructure Ministry, Minister Volodymyr Omelyan confirmed Ukraine’s interest in borrowing from the Federal Republic of Germany in the amount of EUR 150 million (the KfW loan) provided for the restoration of transport infrastructure in the eastern regions of Ukraine. 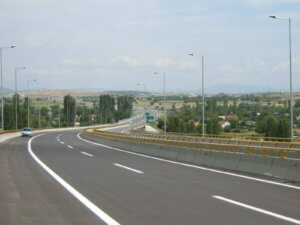 In particular, the Infrastructure Ministry plans to implement the following projects: the construction of a breakwater and the implementation of works to deepen the water area of the port of Odesa; repair works at the national road N08 Boryspil-Dnipro-Zaporizhia (through Kremenchuk)-Mariupol on the Zaporizhia-Mariupol road section and the restoration and improvement of the transport and operational condition of the H32 Pokrovsk-Bakhmut-Mykhailivka state-sustained highway. According to the Infrastructure Ministry, Germany also expressed interest in participating in the modernization of the electric locomotives of JSC Ukrzaliznytsia and in electrifying the railways, in particular, in the south of Ukraine, near the ports. In addition, as a result of negotiations with Germany, Ukraine will receive an additional 20,000 bilateral permits for road haulage, which will be valid until the end of January 2019. In addition, the parties agreed to consider the possibility of increasing the quota of permits for 2019. 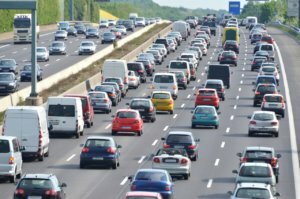 Ukraine, Poland have agreed on the preliminary exchange of 160,000 licenses for transportation by road in 2019, Ukraine’s Infrastructure Ministry has reported after a meeting of the Ukrainian-Polish mixed commission for international road haulage held on October 10 and October 11. “The sides will hold a regular meeting of the mixed commission in the first half of 2019, where a decision will be made to establish the final quota,” the Infrastructure Ministry said on Friday. In particular, there will be universal licenses for of the categories Euro-1, Euro-2 and Euro-5 – 10,000 each, Euro-3 – 50,000, Euro-4 – 20,000, and transit categories of Euro-3 – 25,000 and Euro-5 – 35,000. According to the report, Ukraine also agreed to obtain from Poland an additional 10,000 licenses (8,000 transit and 2,000 universal) for this year, which will increase their number to 216,500. 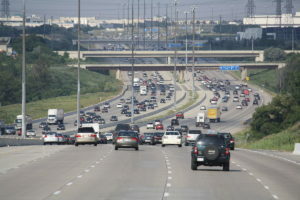 The Infrastructure Ministry said that Poland again insists on reducing the 2019 quota to 130,000. However, this does not meet the needs of Ukrainian haulers. “Our position in relation to this proposal was unambiguous – we do not agree to any reduction of the quota!” Director of the Strategic Development Department of the road market and road transport of the Infrastructure Ministry Viktor Sasin said on Facebook. The ministry said that the meeting on the quota increase for 2019 will be held after evaluating the effectiveness of the use of already issued licenses. 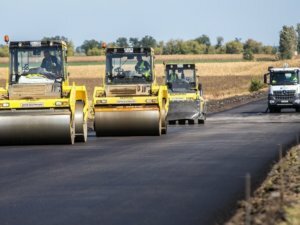 Onur Construction International has won a tender held by the Automobile Road Service in Dnipropetrovsk region to build a section of H-31 Dnipro-Reshetylivka road from the settlement of Loboikivka to the border of Dnipropetrovsk region with a price offer of UAH 427.9 million. According to the ProZorro e-procurement system, the expected cost of the project was UAH 436.5 million. Along with Onur, Rostdorbud LLC was a bidder in the tender with the price offer of UAH 428 million, and two more companies were not allowed to participate in the tender. The tender was announced in October 2017, although changes were made to the tender documents several times. The project is to be completed by late 2019. According to the public register, Onur Construction International LLC is belonged to Onur and Ihsan Cetinceviz.